In 2000, the forerunner to the NCRE - the Centre for Research on Europe - was founded at Canterbury. In 2002 a grant from the European Commission was awarded and at this time the Centre became the National Centre for Research on Europe. The NCRE remains the only EU-dedicated tertiary level centre in New Zealand. Since then, the NCRE has developed significantly in both academic and outreach activities, involving a variety of roles and mechanisms. It has also established an effective form of collaboration with 4 other NZ universities (Auckland, Victoria, Otago and Lincoln) and one Australian university (Melbourne) during this time. The NCRE is a multi-disciplinary centre that brings together graduates, post-doctoral fellows and academics from a wide range of disciplines to research and study the European Union and Europe-related issues and topics. The focus is inclusive and policy-driven, melding academic work with practical requirements. The NCRE also performs a wider societal role and serves as a key element in the EU's outreach within New Zealand and the Pacific. Raising a critical awareness of the EU, informing government, the media and public opinion all play an equally important part in the NCRE's core function. Above all, the NCRE has begun the essential process of encouraging and promoting a new generation of New Zealand graduates who have a high level of expertise and interest in the EU. The National Centre for Research on Europe is governed by an Advisory Board composed of both University of Canterbury and external members. 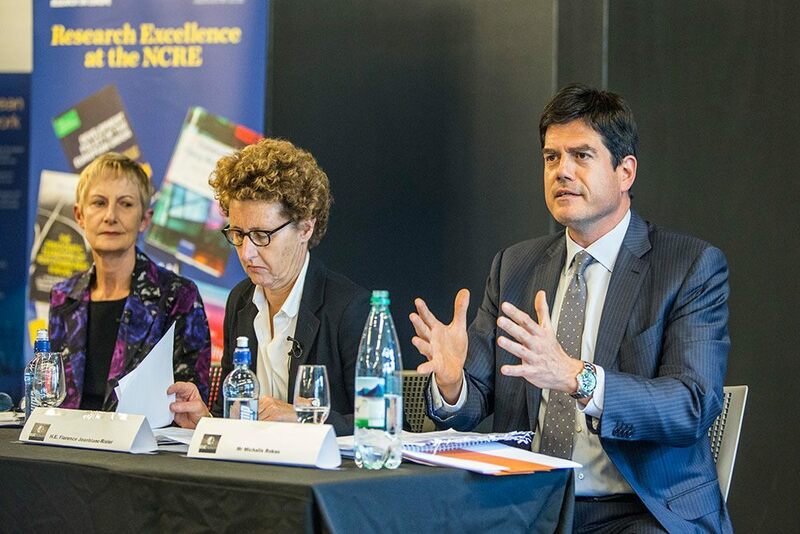 The NCRE is a member of many academic networks both nationally and internationally. Two of the major academic networks that the Centre belongs to are also administered by the NCRE office. The NCRE administers the EUC Network (New Zealand European Union Centre Network).